How can I be prepared to defend my faith? 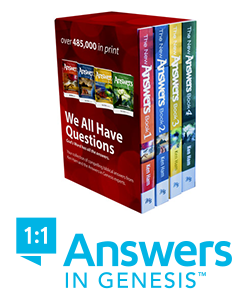 So you’re ready to learn apologetics but you’re not quite sure where to start? Or maybe you’ve been wanting to learn how to defend your faith for awhile now but have been too overwhelmed to start? Don’t worry, it’s not as daunting as you think. Yes, there is a lot of information out there. Reading the whole Bible is in itself a big task, let alone studying it then going on to learn about theology, logic, critical thinking, and so on. As with everything new, all you need to do is take the first step. If you’re not sure how to start, here are a few ideas to pick and choose from. But note, there’s a whole world of apologetics out there, this is just the tip of the iceberg! Pray, as with everything (Philippians 4:6–7), for God to equip you with the tools to defend your faith. Pray for the wisdom to learn and the discipline to study. Be thankful for the opportunity, time and resources to be able to study and learn. Read and study the Bible. To be able to defend Christianity, you’ll need to know your material. And what better place to start than the source of Christianity, the infallible word of God (2 Timothy 3:16)? If we don’t understand it, we’re incapable of accurately representing it. If you can, purchase a study Bible (the NIV Study Bible is a good place to start) or read study notes online — Bible Study Tools is a great, free website that has multiple commentaries on each Bible verse, as well as devotionals, dictionaries, encyclopedias, and more. Join a Bible study group. Studying with others will allow you to share your opinions, thoughts and discoveries with others. It also helps you see things from a different perspective, and bounce ideas, questions and answers off each other. Research answers to your own questions. If you ever had any doubts or burning questions, now’s a great time to resolve them. Researching the answers to your own questions not only satisfies your curiosity, but you’ll equip yourself with the answer if anyone else ever asks you the same question — and chances are someone else will also have the same question as you. Read apologetics books. There’s a whole world of apologetics books out there to get your hands on. A few authors you might want to check out are C. S. Lewis, Lee Strobel, Timothy Keller, to name a few. Learn about other religions. A common question people have is ‘what makes your religion the right one?’. You’ll probably need evidence, including non-religious evidence, to convince anyone that you’re right. You may be an expert in Christianity but you might also be in a situation where you’ll need to defend your faith against other religions, and you’ll need to be prepared because you can’t argue against information that you don’t know. Talk to others about Christianity and other religions. Actually talking to people will help you see what people think about Christianity and other religions. It’ll show you why some don’t believe in Christianity and what others believe about other religions. It’ll help you come up with specific topics or questions to research. It’ll also help prepare you to answer any questions or test your knowledge, if you’re at that stage. But be gentle and respectful (1 Peter 3:15–16), even if you don’t know the answers or if things start getting a little heated or personal (which can happen sometimes!). Watch apologetics videos or listen to podcasts. If you type ‘apologetics’ into YouTube you’ll get a huge range of videos to watch. You can watch talks, sermons, debates, the list goes on. A few speakers of note are Matt Slick, Kent and Eric Hovind, Jeff Durbin, and Ravi Zacharias. A lot of apologists and apologetics radio shows also have podcasts, if you prefer those instead. Study an apologetics course. If you want a more structured method of learning apologetics, maybe an apologetics course is the way to go. A couple of free online courses are: Basic Apologetics Course by the C. S. Lewis Institute; or the Apologetics Press Home Study Courses. If you’re willing to pay, the Christian Apologetics Research Ministry has an Online School of Christian Apologetics for only $33 ($75 will get you access to all three of their courses: Apologetics, Christian Theology, and Critical Thinking). 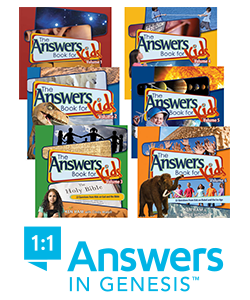 If you are studying or have studied apologetics, how did you start? Do you have any good resources you’d like to recommend? Prev Why should I defend my faith? Next What do I do if God’s not answering my prayers?